The Ohio Department of Education (ODE) requires students in Grade 7-8 to take part in the Spring State tests or the Ohio State Tests (OSTs).In addition, students in grades 9-12 are also required to take OSTs or End-of-Course Assessments to meet the graduation requirements for the state of Ohio. Students must earn a minimum of 18 points on these OSTs with an opportunity to retake tests if needed. TTA students are taking the OSTs starting March 28. Unlike other TPS High schools, TTA is NOT closing school for all students. 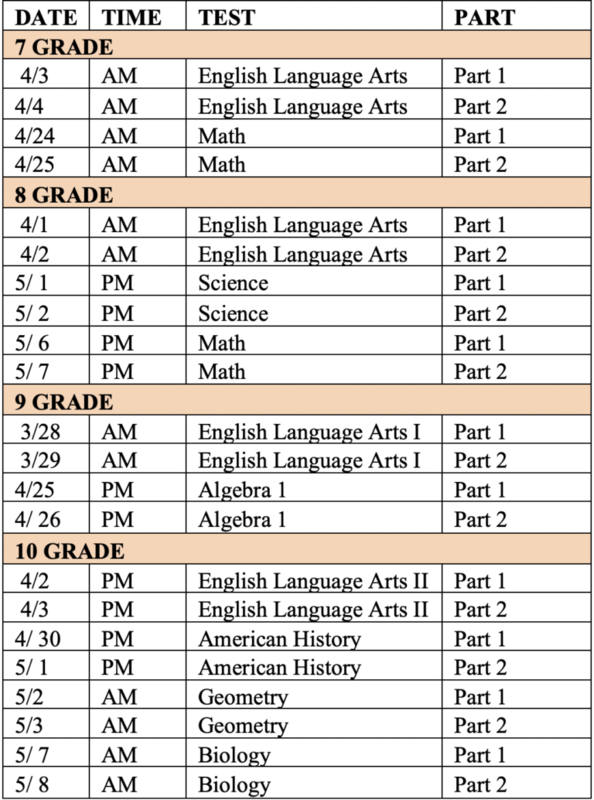 Students who are taking the test will report to designated testing areas and return to regular schedule after testing. These dates falls within the TPS selected OST Testing Dates and your child has been informed by their teachers about the test. Please ensure your student is present and well-rested for testing days to enable your child to show his/her best work. Also, please refrain from scheduling any appointments when your child is testing.